Barça Lassa will fight for their 22nd European League this Sunday against Porto. The Blaugrana won by 2-4 against the current champion, Reus Deportiu, with Pau Bargalló, Xavi Barroso, Lucas Ordoñez and Pablo Álvarez the scorers. Both teams began playing with a high rhythm, and Edu Castro's went ahead in the second minute thanks to Pau Bargalló. However, the hosts responded quickly through Raul Marín. Xavi Barroso didn’t miss the opportunity to place the visitors ahead from the penalty spot (1-2, minute 19), and from that moment Barça played a very fluid game. The third goal came from an excellent counterattack just two minutes later, and Barça Lassa's control was complete when Pablo Alvarez made it 1-4 a further minute later. Reus took advantage of numerical superiority after the blue card was given to Pau Bargalló for his second straight foul. Jordi Garcia’s men cut the deficit to 2-4 with a goal by Raul Marín, but were unable to add to the score. 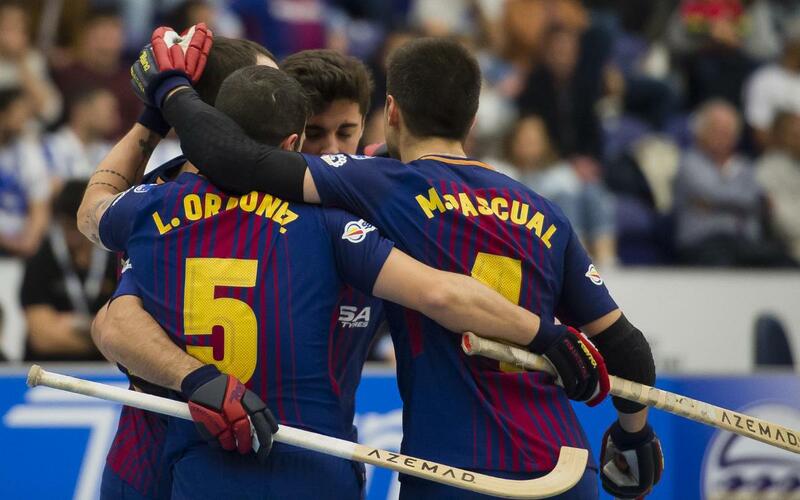 Barça Lassa will now play Porto this Sunday from 1.30pm CEST, for the right to be European League champions.